....was born in 1949 in the state of Negri Sembilan, Malaysia, to a middle class family. As a chubby little kid, his only hobby would be to wrestle with his neighbourhood kids. His father would often teach him a technique or two from his own martial arts experience. At the age of 7, he was introduced to a South Indian martial artist who tought Selemban, a type of stickfighting, as well as "Vajara Musthi" ( "Diamond fist" ), a type of fistfighting. His father later introduced him to British Boxing, for his father was in the British Army. In the middle of the 1960s, a Shito-Ryu Karate school was opened in Malaysia. In that period, Measara became acquainted to numerous Karate styles, won the Malaysia Championship in 1970 and represented the Malaysian national team at the second world championship in Paris. In the pursuit of harder and more challenging fights, he also won the title of South Pacific Champion at the Kyokushinkai Full Contact Championship. Having become acquainted with many other Karate Styles, Measara is still training and teaching Okinawa Shorin-Ryu Seibukan Karate under grandmaster Zenpo Shimabukuro. The key characteristic of this Karate stlye is that it has remained completely uninfluenced by other Karate styles. Also in Kobudo, Measara decided to study the"pure" Okinawan version. He became a student of Sensei Katsuyoshi Kanei (9th Dan), who was also the vice president of the Okinawa Kobudo Renmei Association and master student of Shimpo Matayoshi (10th Dan in Kobudo). Near the end of the 1960s, Measara made the acquaintance of his Aikido teacher Sensei Thamby, who was the first to bring martial arts such as Judo, Ju-Jitsu, Karate and Aikido to South Asia, and later became his student. By now, Measara knows various Aikido systems, yet he still teaches the Shudokan System that was taught to him by Sensei Thamby. Moreover, Measara studied Jodo (Jojitsu), Shindo Muso Ryu and Aikijujitsu under Sensei Don F. Draeger, a martial arts master who became famous for writing numerous books about this topic. At the beginning of the 1970s, Measara arranged for a meeting of the representatives of the various Karate styles, and with him they founded the leading national organization named MAKAF ( Malaysia Amateur Karate Federation ) which still exists today. In addition to this, he was elected to be the National trainer and held this position until 1980. In the middle of the 1970s, he traveled through most of his country in order to demonstrate and to promote Okinawan Kobudo and Karate, for this has ever since been an important part of his life. As an "Ambassador of Okinawan Karate", his voyages have taken him to India, the Philippines, Singapore, Australia, New Zealand, Indonesia, Denmark, Italy, France, Russia, Dubai, Finland, Sweden, South Africa, Switzerland, the United States as well as other numerous countries where he often started new schools and won foreign dojos to the Okinawan style. 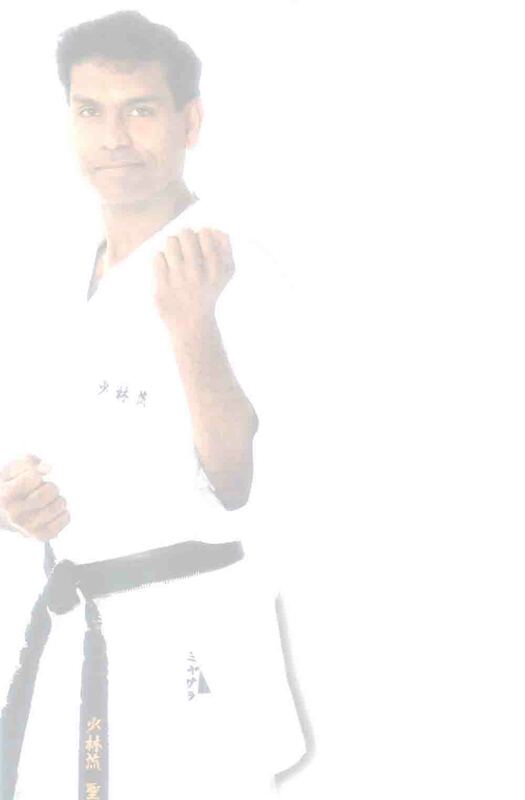 Jamal Mesara, who has been living in Kelheim (Bavaria / Germany) since 1980, has founded the Bavarian Shorin-Ryu Seibukan Karate Association, the Shorin-Ryu Seibukan Karate Union of Germany as well as the European Shorin-Ryu Seibukan Karate Association. Furtheron, Measara is the founder of the T.O.K.O. Organization for followers of traditional Karate and Kobudo. If you are interested in representing this style in your own country, you are welcome! Here's how to contact us.